Here is a roundup of the 2018 Nikon D500 Holiday Deals & Sales, along with Black Friday, Cyber Monday and Green Monday Nikon D500 deals, sales and rebates. 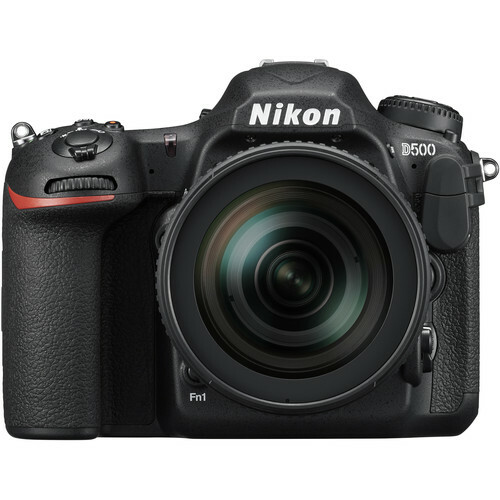 With amazing imaging capability, robust build quality and lightning fast performance, the Nikon D500 is one of the best selling DSLR cameras in the world and it is ideal for anyone looking for good results without a lot of effort. From busy, low-light cityscapes to thrilling wildlife scenes and fast action shots, the Nikon D500 is the ideal companion to your wanderlust. Highly Recommended! So, just get this excellent camera this holiday shopping season! This page will be updated when new deals available, so bookmark this page and check back often for the latest Nikon D500 Black Friday/Cyber Monday/Green Monday/Holiday Deals. See also: Nikon Black Friday Deals. $100 off on Nikon D500 body: $1,796.95 at Amazon, B&H, Adorama. $570 off on Nikon D500 w/ 16-80mm Lens: $2,396.95 at Amazon, B&H, Adorama. Read more: Nikon Black Friday Deals 2018 and Best Lenses for Nikon D500.